In this article we will introduce you to La Junta, the main town of the Palena ? Queulat Area and the center of operations for exploring dozens of lakes, rivers and hiking trails. Surprises abound in this town built on friendship and hospitality. Type of activity: A day in La Junta, with a bit of hiking, visits to local shops, markets and restaurants to try out the fresh local products of the zone. Distance: 2 – 5 km, depending on your preferences. Duration: We suggest a minimum stay of 2 - 5 days. Considerations: La Junta is the base for everything: excursions and activities, local products, lodging, and fuel, but take note, there is no ATM! Reservations: There is a range of lodging available in La Junta, but we suggest you book early. 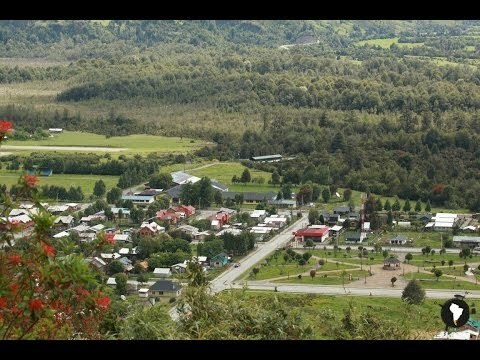 As you make your way south down the Carretera Austral, the first town you reach in Aysén, is La Junta. With 1,300+ residents, La Junta is the biggest town of the Palena – Queulat Area; one of the larger in the Region. It’s known as “the meeting place”, for its proximity to the confluence of the Rosselot and Palena rivers and also because it was THE meeting place for early settlers. Today, La Junta continues to offer visitors great encounters, friendships, hospitality, and stories, as you’ll soon discover. Colonization of the zone began in the final years of the 1930s, when settlers began venturing following the Palena upriver, from the coast. They encountered the space they’d been seeking to develop productive farmlands and began to establish homesteads within the surrounding valleys. It was a slow process, but today, the La Junta community is known for its productive farms and a community that continues to grow and evolve. The town was established around 1963, in the same area where families had gathered for years for social activities, sporting events and public meetings. 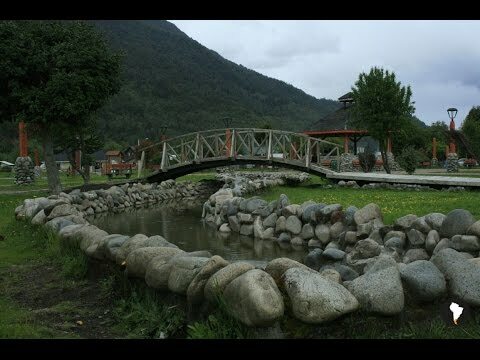 It was the natural place to meet, a big pampa at the confluence of the rivers, but since everyone lived in their farms in the surrounding valleys, it didn’t really become a population center until settlers developed the dream of establishing a local school for their children, ending the need to travel to Puyuhuapi or Puerto Marin Balmaceda. Thanks to the determination of these settlers and the commitment of a professor, who was attracted to the area for ranching, agreed to stay and teach. The school was established in 1970, with 15 students. It was the turning point for La Junta; settlers soon began building homes nearby and a sense of community quickly evolved. The school marked the beginning of decades of cooperation and community development in La Junta, during which the town built an aerodrome, the first stores, the Catholic Church, electrical infrastructure and even local television and radio. The community worked hard to obtain scarce public resources and services, constructing a rich heritage of friendship and cooperation; the foundations of why it’s a great place to start your visit to the Palena – Queulat Area. Today La Junta offers a great base for your adventures, welcoming you home each evening after long days of hiking around and touring in the area. From here you can refuel both your vehicles and your spirits, before heading off each day to explore nearby Lago Verde, the Mirta, Cuarto and Quinto Valleys, Puerto Raúl Marín Balmaceda, Risopatrón Lake, Rosselot Lake, Mount Barros Arana, Melimoyu Volcano, and of course, the fantastic Palena River. A short hike on the Sendero de Montaña Trail located alongside the Carretera Austral, in front of the town, offers a great way to orient yourself and have a good look around. After climbing 600 meters through native Patagonian evergreen forest vegetation like quilas, tepúes, coigües y chilcos, you’ll reach a lookout point with a great view of the whole area. On a clear day you can observe the Palena and Rosselot rivers, the Barros Arana mountain range, the Melimoyu Volcano and, of course, the town of La Junta. Perfect place for getting your bearings, right? Afterwards, choose from a variety of activities and excursions, many of which are detailed in the rest of this chapter. La Junta offers a wide range of accommodations, from simple camping to hotels with all the amenities and gourmet meals. You’ll have plenty of choices, but definitely, book in advance, because in the middle of the summer you’re likely to find everything occupied. And La Junta is full of surprises that make it much more than a base for accommodations and refueling! Here, you can find great organic, homegrown and local products including some of the most delicious fruits, vegetables and cheeses in the Region, all produced nearby, on local farms. Stock up on delicious goodies to cook in your cabin or take with you for picnics – we recommend the Farmer’s Market for the Women Farmers of the Valleys (Monday and Friday, 10.00 - 12.00), and also the Greenhouses of Don Fito, open every day and located alongside the Carretera Austral at the entrance of town. A great way to wind up a day in La Junta is on the terrace of Hotel de Montaña Espacio y Tiempo. You’ll feel like you’re living a dream! No matter what the weather, you can comfortably relax outside enjoying the birds singing from the forest, the warmth of the afternoon sun or the gentle rhythms of the rain falling on the transparent roof. It’s the perfect place to enjoy a great pisco sour or local artisan brew, Kawiñ, brewed right in town. 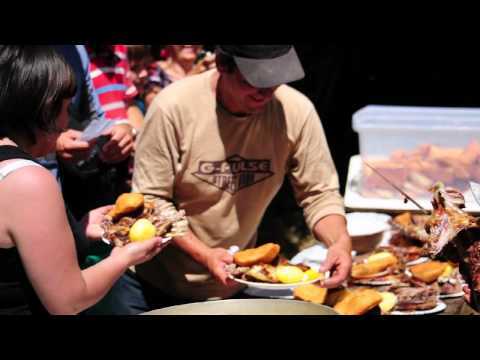 Don’t miss the chance to dine on one of their gourmet specialties, which feature many local products of the zone. The gastronomy is only rivaled by the remarkable stories of La Junta and its history shared by owners, Alan Vásquez and Connie Palacios. Looking for good food? Donít leave without trying the cheeses of Quesos La Junta, the handcrafted beers of Kawiñ and the delicious dishes of Mi Casita de Te and Hotel de Montaña Espacio y Tiempo. If a picture 's worth a thousand words, a video is worth a million , is not it? Here you will find some of the best for this sector. To go this route , you'll need a good map. Find the details and steps here in georeferenced and downloadable version Smartphone, Tablet and GPS . In La Junta, you'll have the unforgettable opportunity to visit with the awesome ladies of the Women's Agricultural Club of the Valleys! Every Friday, year round, and Mondays during the summer, in the community center of La Junta, a group of the most powerful, talented and funny women of Patagonia, gathers to hold their own farmer's market. Things go fast! Don't miss the chance to enjoy their farm-fresh vegetables, marmalades, chili sauce, eggs and other delights. Be among the few who have traveled this photogenic route winding through the unknown Mirta, Cuarto and Quinto valleys. The valleys are home to one of the most authentic traditional festivals of the area and several of the ingenious women farmers of the Women?s Agricultural Club of the Valleys. There are also great opportunities for trekking, fishing and horseback riding. Paddle the Palena River along the former route of the ?Chatas? The first settlers who arrived in La Junta made their way upriver, in row boats called ?chatas?, rowing their way against the current of the Palena River to reach the interior. Retrace their route, but this time traveling down river (we promise that it is much easier and fun!) And if you want to do it with 100+ other fans of the water, join in on the annual event, the Ruta del Palena (Route of the Palena), that takes place in February. The Heritage Route between La Junta and Raúl Marín Balmaceda offers great views of the Palena River, evergreen forests, streams, waterfalls and historic farmhouses of the pioneers who first settled the area. Meander, take pictures, visit natural hot springs, learn a little history and end this adventure with a barefoot walk in the sand on the beaches of the Island of the Lions. The essence of a place is often experienced through its traditional flavors and recipes, as is definitely the case with this recipe for Cazuela de Cordero con Luche (Lamb and Seaweed Stew). It?s a favorite in this part of Aysén, where many settlers have the sea in their heritage and ranching as their life?s work. Learn more with this great recipe! We give you the keys to open the doors of every corner of the Aysen region , all aimed at travelers like you , who do not seek simply visit a destination, but discover , enjoy and integrate into its culture and its people.